The Giro d’Italia, after a tricky stage today, delivers one of its most decisive stages in the form of a 54.8km time trial on Saturday. It is the longest individual time trial since 2009, when the race skirted the coast in Cinque Terre. The longest was back in 1951, when Italy’s campionissimo, Fausto Coppi won a 81-kilometre test. As soon as news leaked of the Giro route last year, experts said the stage would suit Sky’s Bradley Wiggins perfectly. He won his Tour de France title last year partly thanks to two long time trials. The time trial and dream of winning the race’s maglia rosa was enough to lure Wiggins to Italy this May. Since taking the decision, Sky has been preparing for this day in Italy’s Le Marche region. 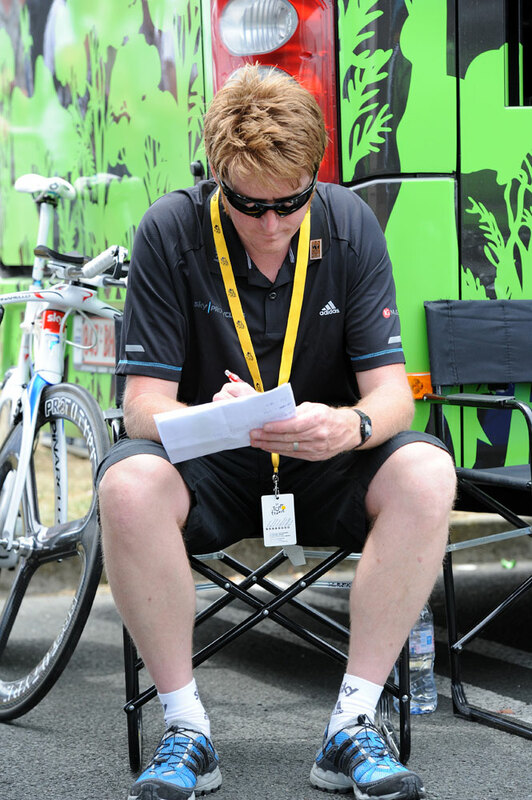 Dario Cioni, Sky’s Italian press officer and a former pro, gathered information and planned a reconnaissance trip. On April 21, Wiggins went to see it and Cioni filmed it. Wiggins often will ride in the follow car when a teammates races early in the day. However, given the distance, he lacks time to do so. Ellingworth or sports director Marcus Ljungqvist will drive the course early and feed back feedback any new information. 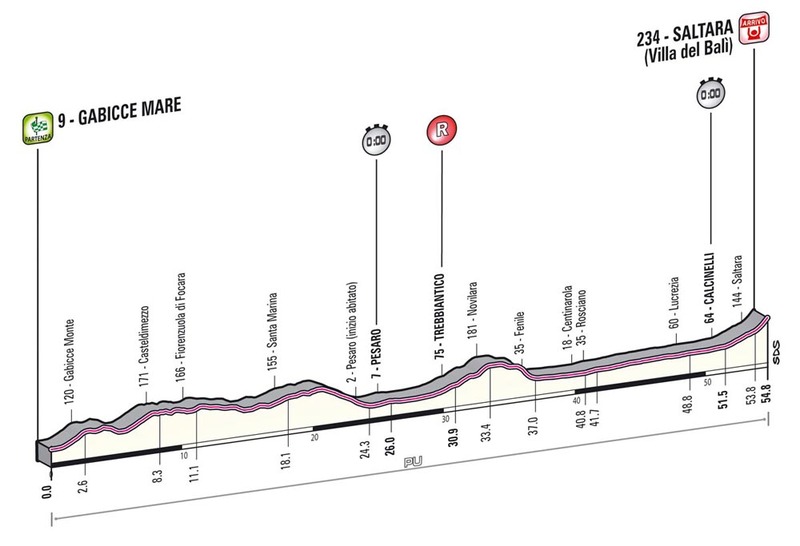 Today’s stage weaves its way through Abruzzo, similar tricky roads to those where Chris Froome lost the lead in Tirreno-Adriatico in March. Local Dario Cataldo will lead Wiggins through today so that he can have his best shot at the time trial in neighbouring Le Marche. Le Marche is just as undulating and produces punchy climbers like Michele Scarponi (Lampre-Merida). “It’s not like the Olympic course, which was not technical at all and really a Bradley sort of course, all power and aerodynamics,” explained Ellingworth. Wiggins gained one to two minutes on his rivals in the Tour’s first time trial in Besançon. He should produce important gains on GC rivals like Scarponi and Vincenzo Nibali (Astana). Defending champion Ryder Hesjedal (Garmin-Sharp), Robert Gesink (Blanco) and Cadel Evans (BMC Racing) will be able to stand their ground. Garmin’s sports director, Charly Wegelius warned the gains might not be astronomical. Read Cycling Weekly magazine on the day of release wherever you are in the world with our iPad and iPhone edition – International digital edition, UK digital edition. And if you like us, rate us!